The Chennai Super Kings after winning the toss elected to field first. Chris Lynn looked in good form for KKR as he got them off to a flyer. Once Narine fell, Rana provided a bit of support with 21 to his name but there was no other major contribution. Chris Lynn looked in the best touch in IPL so far as he smashed 82 off just 51 balls. Once he got out, Russell was expected to provide a massive finish like he always has in this tournament so far but was not able to do it today. Finally, KKR managed to scrape through to an under par score of 161 in the 20 overs. 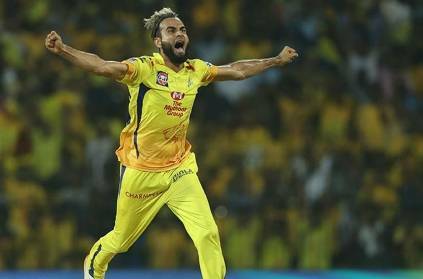 Imran Tahir was brilliant for CSK who was instrumental in restricting KKR by at least 25 runs as he picked up 4 wickets for just 27 runs. KKR will be delighted to see Lynn in form, but would feel they are 15-20 runs below par score. They will have to pull off an exceptional bowling effort to defend this total against CSK who will feel confident about chasing it down. This page contains news relating to various facts and events. The views are generally about current affiars and general topics in diversified areas such as political, international, national, and regional issues, sports, health, travel, lifestyle, technology and business. People having similar interets on the above topics will find this page useful. KKR vs CSK mid innings report. Tahir picks up 4 wickets | Sports News.